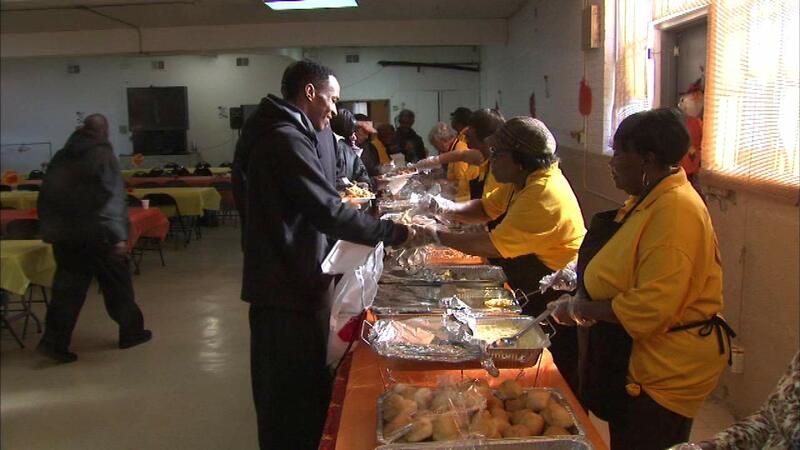 CHICAGO (WLS) -- A church on Chicago's West Side got a jump on the Thanksgiving holiday Friday. Members of the Greater Saint John Bible Church provided a pre-Thanksgiving dinner to those less fortunate. Reverend Ira Acree and volunteers served up turkey, sweet potatoes, collard greens and more.